Innovation is vital. If you are not innovating, you are not just standing still, you are moving backward. Growth can come from expanding existing operations, but sustainable growth comes from constantly innovating to find new products and services that solve customer pain points. Innovation comes from observing, asking the right questions, building a knowledge base, and then connecting the dots when it’s most critical. Challenges and limitations can often be the best environment for innovation as they necessitate creative thinking and action. The larger the limitations, the bigger the breakthrough you can solve for. Stepping away from existing operations to see adjacent industries and emerging technology can be when inspiration strikes. Fueled for Growth brings that approach to solve problems that are most critical to your organization. 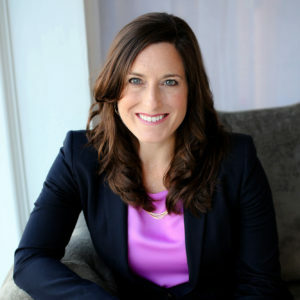 Fueled for Growth was founded by Cecily Kovatch who has over 20 years leadership experience within energy & industrials, retail/consumer and financial services industries. She specializes in solving complex problems through innovative thinking with a focus on commercialization and sustainability. She has the ability to see the commercial opportunities in challenges and executes to make that vision a reality. Throughout her career, she has worked on groundbreaking projects and has built numerous new business lines. She leverages this “intrapreneurial” expertise to advise and mentor startups in tech, cleantech, and fintech. She also helps corporations to develop successful innovation programs, solve for new customer solutions, and foster fruitful relationships with the startup ecosystem. Cecily created, launched and led the innovation and knowledge sharing programs at Covanta, the world’s largest waste-to-energy company. She also built and led their marketing department where she conducted a strategic rebranding initiative to reflect the company’s expanded mission, vision and sustainability offerings. On the financial services side, she built the energy, industrials & basic materials research team for Vista Research, an independent research firm and then part of Standard & Poor’s. She also revived and grew Vista’s retail/consumer research practice. At American Express she worked in business strategy, most notably developing and rolling out a reorg of their US Commercial Cards salesforce in order to increase market penetration and expand into new customer segments. Prior to that she was a regional manager at Hess Corporation running the P&L for their retail locations in Nassau County, Long Island. She was also category manager handling purchasing, marketing and merchandising for Hess’s 800 company-owned gas stations and c-stores. Cecily started her career in upstream oil & gas as a field engineer at Schlumberger where she ran wireline services on over 300 oil rigs. She is a Wildcatter award winner for discovering hydrocarbons in Brazoria County, Texas at age 24. Cecily lends her expertise to Stevens Institute of Technology where she is an Adjunct Professor teaching Entrepreneurial Thinking to prepare students for successful careers in engineering. She is also an Entrepreneur-in-Residence at Stevens Venture Center and a mentor to startups through VentureWell and PowerBridgeNY. She volunteers with E-School for Girls entrepreneurship program and Covenant House International. She holds a bachelors degree in Geology from Princeton University and an MBA from Harvard Business School.